10 Weird Food Inventions – Just For Sybarites! I know of many chefs that must be rolling over on their grave by seeing this.. unacceptable but is it yummy? Well, crossushi sales are escalating drastically, particularly in New York, London and Sydney.. is it that big cities are going nuts? or are they just desperate for something new? 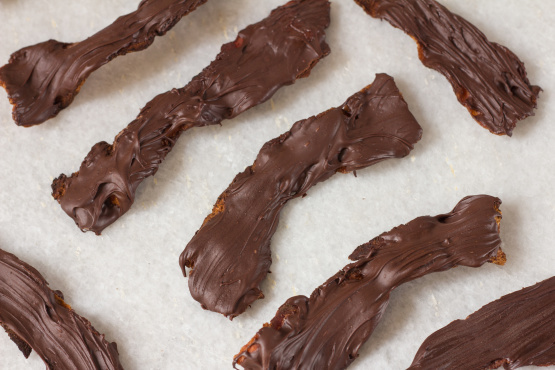 I have issues with mixing sweet and savory and even though some barbecued glazed bacon may be yummy the thought of cold bacon covered in chocolate immediately disgusted me.. However, this is a huge trend that continues to grow.. 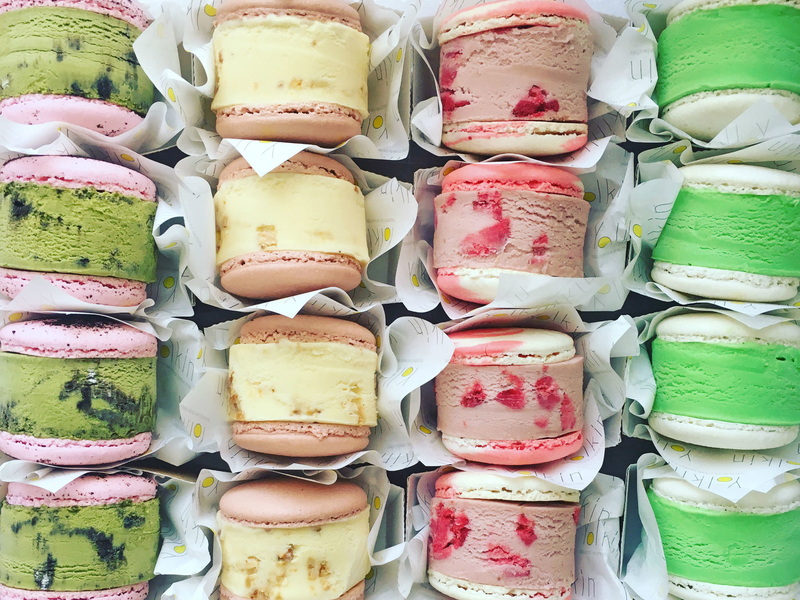 Many food blogs are even going for flavors, toppings and more! Wanna give it a try? go here for recipes! Many people is now claiming paternity to this weird invention however most agree that it tastes best using Krispy Kreme doughnuts.. Watch out for this full cholesterol deadly burger! Once again (just like the story with the bacon) some go over the top with several other toppings and extras that (for me) make them a little bit too much. Want to give it a try? Here you can find a video on how to make them! Why destryoing something as precious as sushi into something that makes no sense whatsoever? Why a sushi cake? Is it easier to share than sushi? No. Does it taste different than sushi? No. Is it different? YES!! Bingo!! 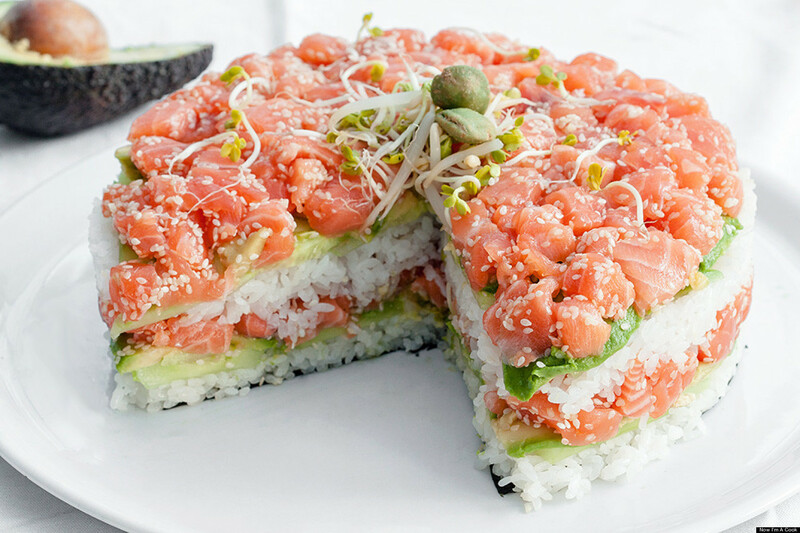 People want different and well these sushi cakes or sushi pies are selling like crazy! 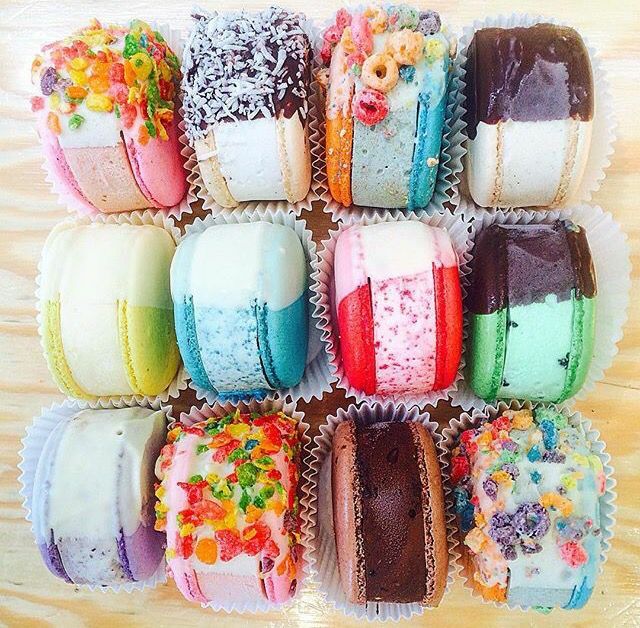 Or basically unicorn EVERYTHING… there is no flavor in this but colors make it fun and apparently kids loooove it. 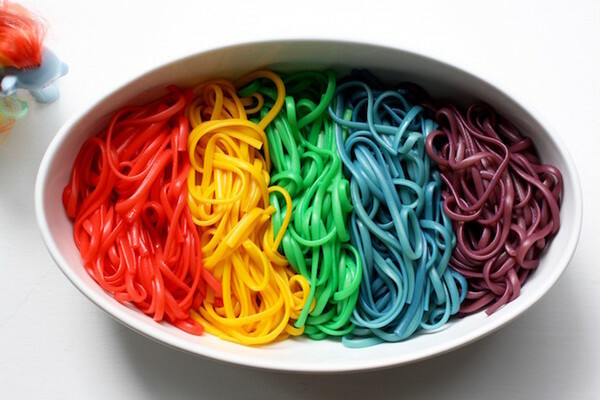 There are still very few retail brands selling this rainbow/unicorn pasta and quality does not seem the best.. Italians will say it is a disgrace and health promoters will say colorants are terrible for you but what would a parent do to make a picky eater have a proper meal? They say in love and war everything is possible and so it is i the fast food marketing industry… KFC launged for this 2018 a cocktail menu with 3 drinks that “exploit” the world recognized gravy: a bloody mary, a mezcal sour and a whisky cocktail . Although it sounds disgusting, the Gravy Mary has been a super hit, curing hangovers in several cities. Give them a try! Here are the recipes! From Australia to the world.. it’s beautiful, it’s sparkly, it’s filled with cotton candy cream and well… it’s blue! I know what you are thinking just another colored dessert but to our surprise, the blue comes from the superfood “blue algae” which is used as a main ingredient so it’s also healthy! I would looooove to try one! Something similar than the unicorn phenomena is happening with charcoal.. there is now charcoal salt, charcoal facials, charcoal toothpaste, charcoal burger (black bun and black cheese) and of course charcoal icecream (with charcoal waffle cone)..
What’s this about? Well activated carbon became super popular during the 2017 due to many alleged health benefits such as teeth whitening, water filtration from impurities, anti-aging, detoxing and more.. so having it in something yummy as an ice cream makes sense..
Extremes, extremes.. this cannot be any good judging by the name. The freakshakes became a huge success due to instagram. 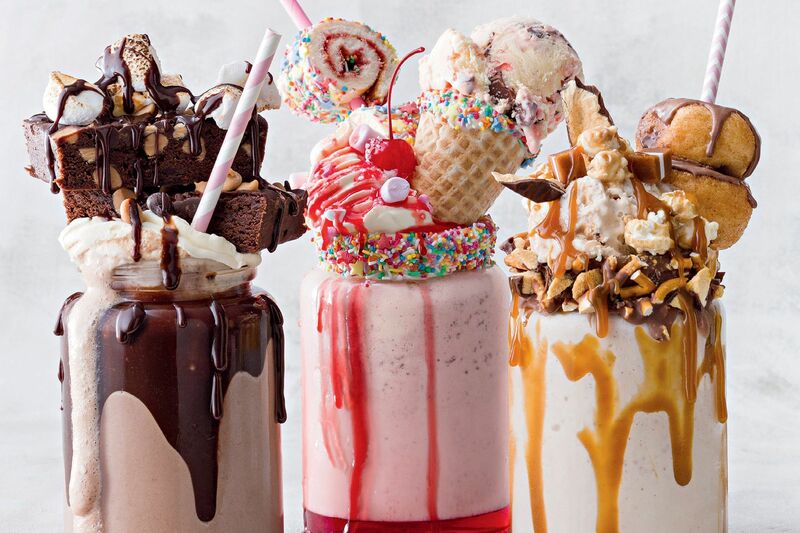 These shakes are extremely satisfying TO THE SIGHT but I cannot imagine a normal person eating this for desert more than once in a lifetime.. would you? How much is too much? it’s never enough! Will you get your hands in any of these during this 2018? Let me know how did it go! Try the recipes and send me pics! I’ll keep posted! Oooh they all sound so delicious actually. 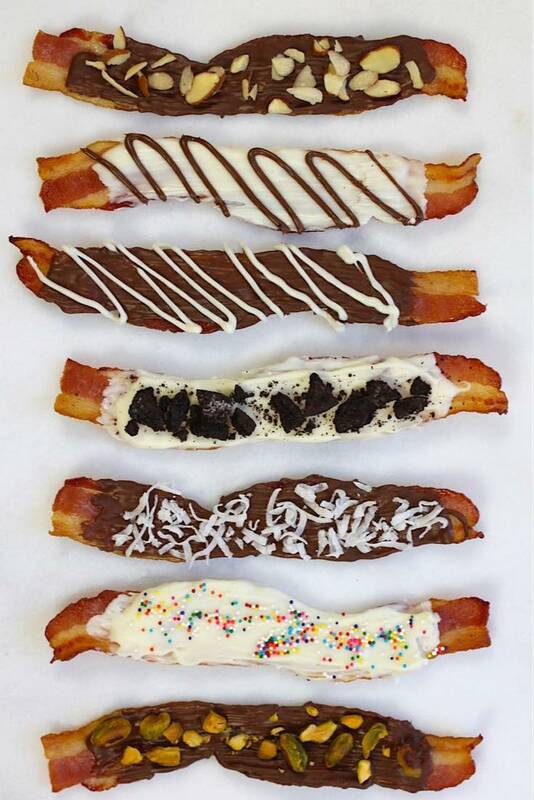 I’m in boring old UK so we don’t get many of them, but chocolate covered bacon is something I could make at home! 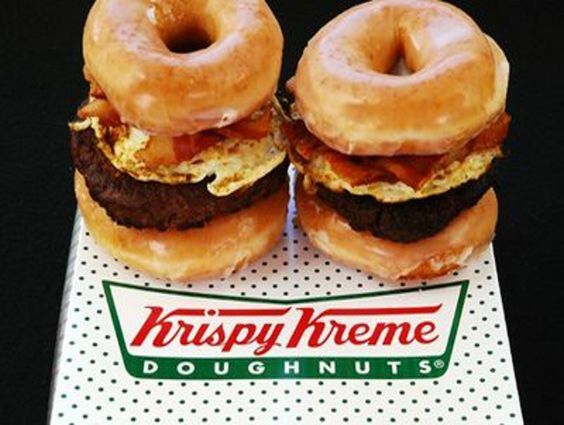 I’ve definitely also seen doughnut burgers advertised but never tried. Some day! !